MMJ PhytoTech (ASX:MMJ) is about to play a whole new ballgame. It’s just announced first sales of its cannabidoil (CBD) pill, and with it, all important first revenue. CBD has been known to treat convulsion, anxiety, and short term memory loss, and governments across the globe are fast waking up to the health benefits inherent in this compound. The fact that CBD is derived from the cannabis plant has stunted the growth of R&D into this area for decades – but MMJ are front and centre to capture the groundswell of new markets opening up. MMJ are aiming to become entirely self-funded, and will be using the revenues raised via selling their Satipharm CBD pills to commercialise other high margin products across the entire medicinal marijuana value chain. At the moment sales are happening through direct sales platform http://www.satipharm.com/ to European residents only, but it’s ramping up its sales efforts through a newly appointed Head of International sales Laura Aitken. MMJ is expected to gain significant market share as it has no apparent competition when it comes to quality and purity. Meanwhile, just a few days ago, MMJ announced the official go ahead for its first clinical study – an important step in any emerging pharmaceutical company’s life. Phase 1 clinical trials will focus on testing the safety and performance of its proprietary oral capsule formations, and approval has been granted by the relevant authorities in Israel, where the study will be conducted. Trials will begin in November 2015, and initial results should come through in Q1, 2016. MMJ is a speculative, early stage company, so caution should be applied when considering as an investment. 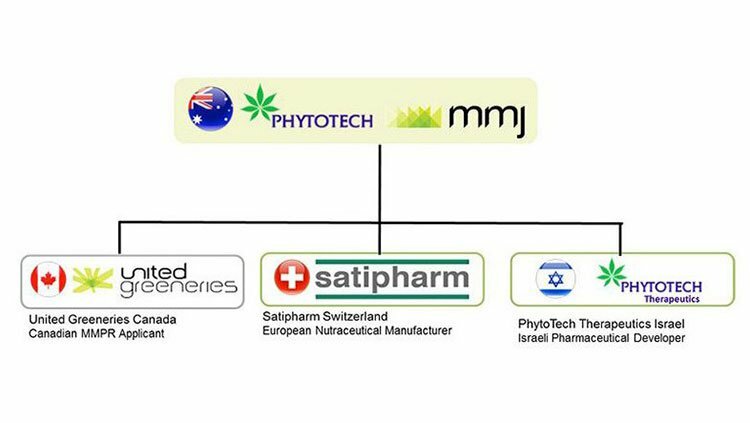 We first covered MMJ PhytoTech (ASX:MMJ) back in July 2015 in the article ASX Company to Disrupt $916BN Big Pharma Industry? , where we went into great detail about the newly merged entity. Since that article was released, MMJ have gone from strength to strength, confirming clinical trials, along with first revenues to the company’s coffers. But it’s not just us that are interested in MMJ, analysts are taking note too. Of course, just because an analyst has set a target does not mean it’s a guarantee to eventuate – reports like these aren’t the only things we use when considering an investment. To understand the potential of MMJ and just how far it may be able to go, you have to have an insight into the vertically integrated offering it’s been beavering away on. The new company structure is the result of a merger between PhytoTech and MMJ Bioscience completed in July. It allows the company a foothold along the whole value chain in the increasingly sophisticated and mature medical cannabis market. The eventual plan for MMJ is to become a supplier of key pharmaceutical ingredients, termed “Active Pharmaceutical Ingredients (APIs)”, extracted from the cannabis plant. The company plans to extract and sell pharmaceutical-grade quantities of things such as Tetrahydrocannabinol, Tetrahydrocannabinolic Acid, Cannabidoil, and Cannabidiolic Acid. If you don’t know exactly what those compounds are – you’re not exactly alone. The important part, however, is that therapeutic and beneficial strains of these compounds are in very short supply, and MMJ is in pole position to supply that market. APP said in its recent report that it’s expecting sales of APIs could be worth up to $30 million of revenue per year for the company from 2016, so we are looking forward to what this may bring. However, like all early stage companies, success is no guarantee, and MMJ remains a speculative stock. Satipharm is the Swiss subsidiary of MMJ, developing pharmaceutical, nutraceutical and cosmetic products based on cannabidoil (CBD). Together with its cannabis extraction manufacturing partners, MMJ has developed a proprietary gastro-resistant pill – and the result was this week’s first sales announcement. The pill will be legally sold as a dietary supplement over the counter in Europe. A focused marketing strategy is underway, which will position Satipharm as a potential leader in a market which has been up to now, highly fragmented. The limited supply of quality products like Satipharm means MMJ can charge a robust price for its CBD capsules, and should be able to achieve significant revenues. Not content with existing products and a strong sales pipeline, MMJ is also in the research and development game, looking for the next medical breakthrough using its products – this part of the business houses MMJ’s blue sky potential for investors. The unit, based in Israel, recently received regulatory approval to start first-stage clinical trials of a cannabinoid pill aimed at staving off the effects of multiple sclerosis (MS) including pain and spasticity, with results from the trial expected in the first quarter next year. One of the most successful treatments for Multiple Sclerosis pain and spasticity was found to be the use of a safe and tolerable combination of THC and CBD as 1:1 ratio. It also recently conducted temperature stability trials for its product, finding that the product has a long shelf life when stored at room temperature, increasing its commercial viability in its current form, as it reduces the costs of shipping and storage. United Greeneries is the Canadian offshoot of MMJ, and is responsible for growing the cannabis plants from which valuable, high margin, pharmaceutical ingredients such as cannabidoil (CBD) and Tetrahydrocannabinol (THC) are extracted. It has two state-of-the-art facilities, which combined have a footprint of 78,000 square feet. It is expecting regulatory approval in Canada to start producing up to 700kg of medical cannabis in the fourth quarter for its Duncan Facility. United Greeneries is fully integrated with a state-of-the-art biochemical quality testing and analytics laboratory at its disposal. This is vital, as while it’s a requirement under Canadian law, not a lot of growers have this up their sleeve. Interestingly, a Canadian Supreme Court Ruling in June expanded the definition of medical marijuana beyond the simple dried form. This means that a whole new market has potentially just opened for MMJ, as it has a first mover advantage in the space with no other licensed producer in the country currently having the extracts available. 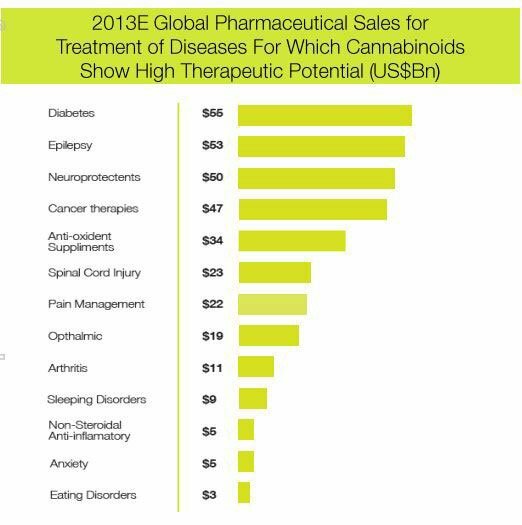 It has the structure in place, and now the money is starting to flow thanks to sales of the Satipharm CBD pill. The pill will be sold over-the-counter as a dietary supplement pill, and is derived from raw materials grown in controlled conditions, resulting in a consistent strain of hemp – compared to other supplements sold in Europe that are not. The Satipharm CBD pill complies with all regulations, including food safety regulations, and can be legally marketed in any country where CBD is not listed as a controlled substance. No other company in the world are currently developing and selling a CBD pill of this standard, giving MMJ a strong first mover advantage. It was developed in conjunction with Swiss partners AiFame GmbH, an integrated cannabis-focused pharmaceutical compound manufacturer and Gelpell AG, a premium contract manufacturer of supplements and phyto-pharmaceuticals. The demand is there – all MMJ needs to do is now supply this pill into the market, something which is doing via a direct sales platform at first, but is currently in discussions to get it out into the broader market. It seems every time you turn on the TV or radio there’s news that another jurisdiction around the world has allowed medical marijuana trials – and there’s a pretty simple reason for it. Governments are starting to wake up to the very medicinally-promising active ingredients like CBD and THC in cannabis, and they’re starting to wake up to the revenue potential of regulating a whole new industry. Trying to get a hard and fast figure on how big the market could potentially be is like trying to nail jelly to a wall, but the prospects for medical cannabis and medical products derived from active ingredients in cannabis continue to grow at pace. The global pharmaceutical market is worth over $916 billion today, and it has grown from first developing new drugs by copying nature, and then when that model was exhausted, moved to a novel molecule based model. This model was lucrative as it greatly enhanced the companies’ ability to protect, patent, and profit. But here’s the thing: there’s never been the impetus before to grow enough cannabis plant to extract commercial quantities of the underlying compounds before. The growth of the cannabis plant has been caught up in the image of the growth of plant for illicit use. However, a wave of medical research from around the world is now flooding in suggesting the compounds inherent in the plants, in small doses, have great potential in the prevention of pain and preventing diseases such as Alzheimer’s or cancer. 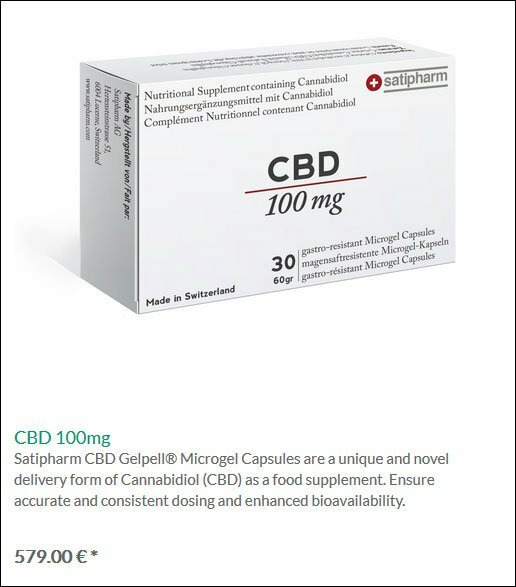 MMJ, by booking sales from its Satipharm CBD capsule, has just signalled the start of what could be a truly transformational time for the company. Promising pharmaceutical companies on the ASX are a dime a dozen, but more often than not they’re trading off their potential, with the product they’re actually manufacturing being held up by various government regulatory programs. However, MMJ is actually making money right now . Not only that, but it has a suite of products and market opportunities on its plate with a market which continues to grow exponentially. New and promising research on the benefit of compounds derived from cannabis in coming out thick and fast, and the political tide turning all around the world as political leaders start to cotton onto the massive opportunity medicinal cannabis can create. MMJ has built a vertically integrated company with it being involved in cultivation, extraction, manufacture, and research and development. It’s “farm-to-pharma” strategy is starting to pay off (literally), and while there is absolutely no guarantee in small cap biotech investments, MMJ will be one to watch as their full strategy is unleashed.